The turgo turbine is a kind of impulse turbine and suitable for heads from 50m-250m. The turgo turbin feature is an angle of 22.5° is formed between the center line of the nozzle jet and the rotational plane of the runner. The water from the penstock is transformed into a high speed jet through the nozzle. The water is directed obliquely to one side of the runner and discharges at the other. The dynamic force of water flow makes the runner rotate rapidly. 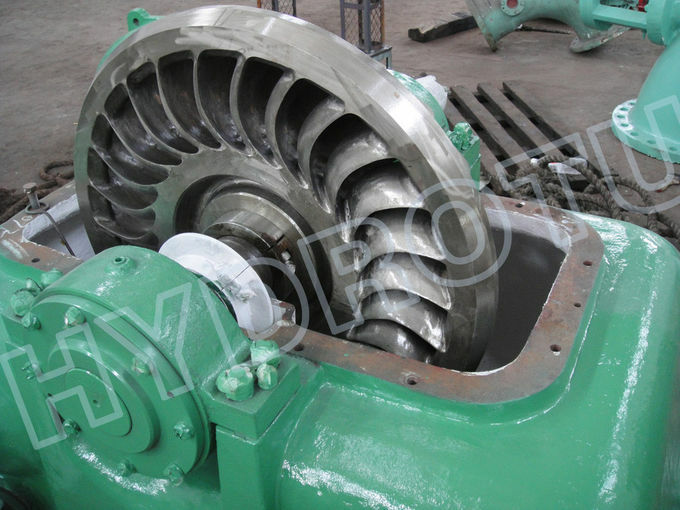 Rotating part is comprised of the runner, main shaft, flywheel, and water deflector etc. The runner is the principle part of the turbine. 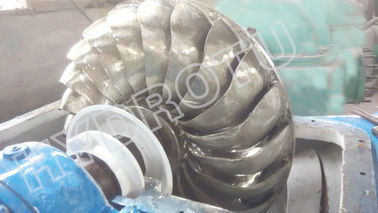 It has influence over the characteristic of the turbine. The runner consists of vanes, the hub and the outer ring of runner. The shape of vane is three dimension camber. The outer ring applies to strengthen the runner and to reduce the loss of wind. The plane key set up between the runner and the main shaft in order to transfer running torque. The elastic coupling is fitted on the end of main shaft. The end of main shaft and the hole of coupling are fitting and transfered the running torque by plane key. 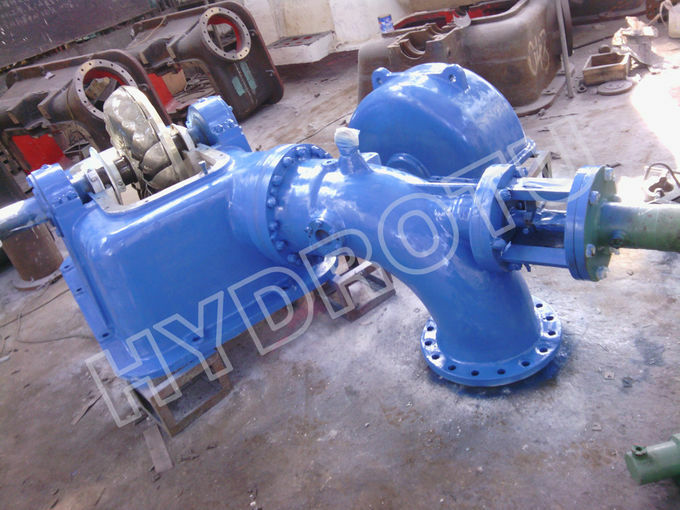 The water deflector is used to guard against leakage from the axial way. Turbine Bearing use SKF Ball Bearing. Turgo turbine is characterized not only by high specific speed , high flow and even efficiency curve, but also by simple construction, easy erection test and adjustment , reliable operation, simple maintenance and low cost. If you are interested in the Turgo turbine, you should send some key parameters (such as net head, flow discharge, unit number, frequency, voltage) in inquiry. 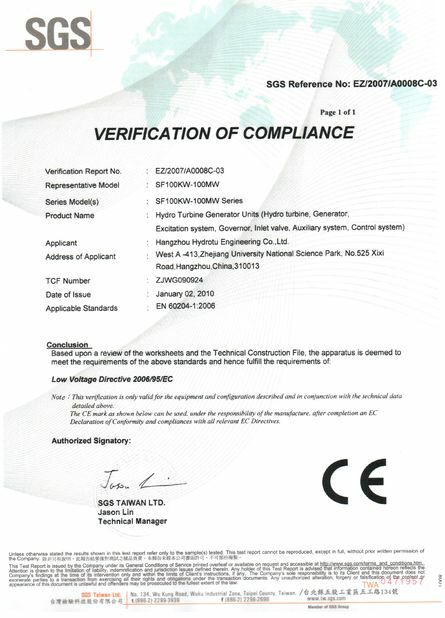 Our Factory is a special enterprise which manufacture and researches Turgo turbine in China, the manufactory is the first production of small Turgo turbine in China. 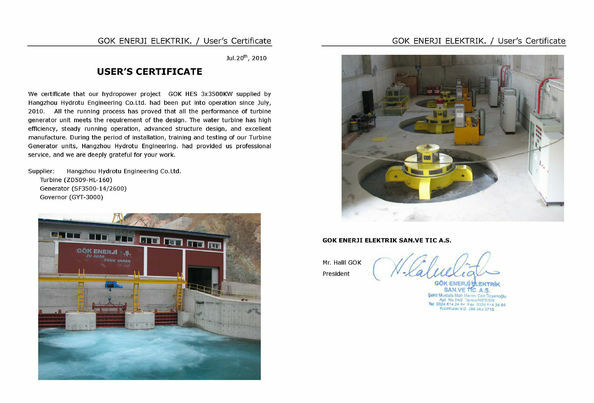 our Turgo turbine export to many countries such as USA, Canada,Turkey, France, Serbia, Greece, Albania etc, won high opinion and praise.